Ms. Maggiacomo is experienced in domestic and international trademark law and brand management. 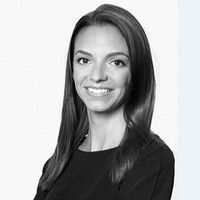 She assists emerging and established companies with the creation, growth, and maintenance of global trademark portfolios, including domestic and foreign application filing strategies, enforcement initiatives, and acquisition, divestiture and realignment of rights. Ms. Maggiacomo regularly provides clients with strategic advice about the availability and selection of new trademarks. She also represents clients in defending those rights through litigation before the federal courts, the Trademark Trial and Appeal Board, and in foreign tribunals. Ms. Maggiacomo develops and implements other enforcement strategies including Uniform Domain Name Dispute Resolution Policy (UDRP) proceedings, cease and desist letters, and Internet takedowns. Ms. Maggiacomo also has expertise in drafting and negotiating trademark settlement, coexistence, and license agreements and providing intellectual property due diligence assessments. She has represented clients in a variety of industries, including cosmetics, fashion, jewelry, finance, publishing, food and beverage, and consumer and household products. Prior to joining Frankfurt Kurnit, Ms. Maggiacomo was an associate at Locke Lord LLP in the Trademark, Copyright, and Advertising Group. During law school, she served as a fellow in the United States District Court for the District of New Jersey. Ms. Maggiacomo serves as an Executive Committee member of the New York State Bar Association’s Intellectual Property Section, a Leadership Board member of the Lehigh Lawyers Association, an Executive Committee Member of the Benjamin N. Cardozo School of Law Alumni Association, a Co-Chair of the Benjamin N. Cardozo School of Law Fashion Law Practice Area Group, and as a member of INTA’s Unreal Campaign committee. She is admitted to practice in New York, New Jersey, in the United States Court of Appeals for the Second Circuit, and in the United States District Courts for the Southern and Eastern Districts of New York.